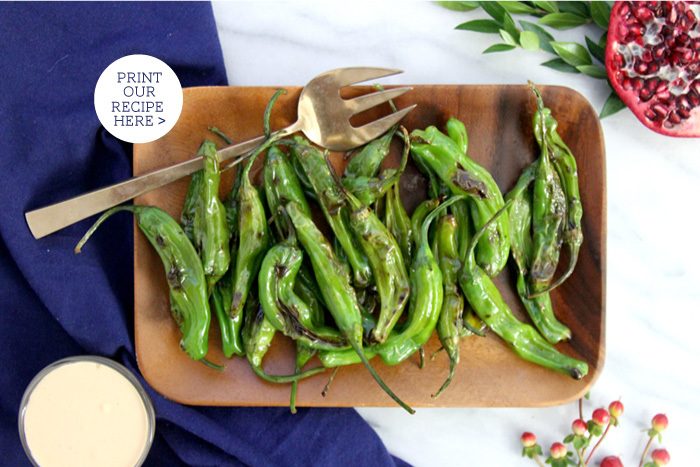 Blistered shishito peppers are fast and easy to prepare at home! 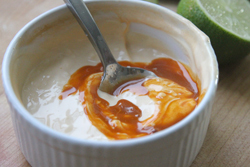 A super fast appetizer, they are extra enjoyable dipped in mayonnaise-based, Sriracha-spiked dip. Be careful - about 1 in 10 peppers can be hot! 1. 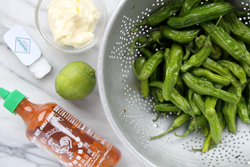 Prepare the Sriracha dip by whisking the mayonnaise, lime juice and Sriracha together. Chill until ready to serve. 2. Wash the peppers, pat dry. 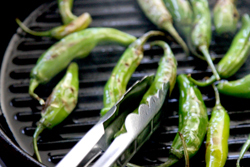 Toss with olive oil and place them on a pre-heated grill pan over medium-high heat. 3. Turn the peppers occasionally to allow the peppers to blister and continue grilling until they begin to blacken in spots. 4. Sprinkle generously with a finishing salt, and serve immediately.